My kids grew up eating one local hotdog brand which is peputedly said to be the Philippine's number 1 hotdog, I prefer the same hotdog brand and for close to 25 years, it was the only brand of local hotdog I served my family. I came upon a new local brand of hotdog. Well, the brand Frabelle is not actually "new" as this company has been making waves in the fishing industry since the early 1960s. The company started out as a one-trawler fishing venture that eventually grew into a massive enterprise that supplies fresh and frozen seafood products in the local and international market, real estate and processed food to name a few. In my supermarket trips I seen Frabelle processed fish products and even tried the Cream Dory. Yummy! Not bad at all! Would Frabelle's processes meat products have the same high quality? There's only one way to find out. 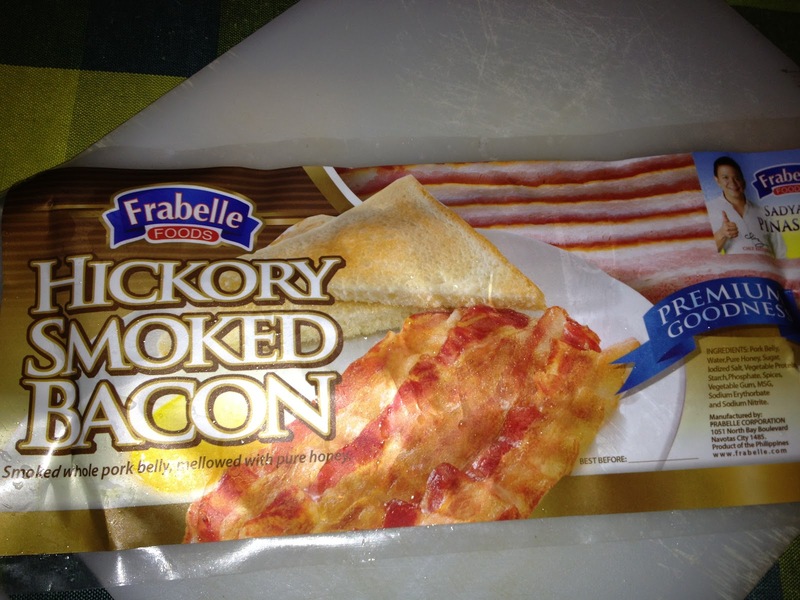 I bought several kinds of Frabelle meat products for a taste test. The first product that I panfried was Frabelle's Longganiza Recado. D4 was home for lunch that day and between the two of us, we almost finished the 500 g package. It was deliciously garlicky, spicy and sweet! The consistency of the longganiza was "all meat". I dipped mine in vinegar and my mouth almost exploded with flavor. 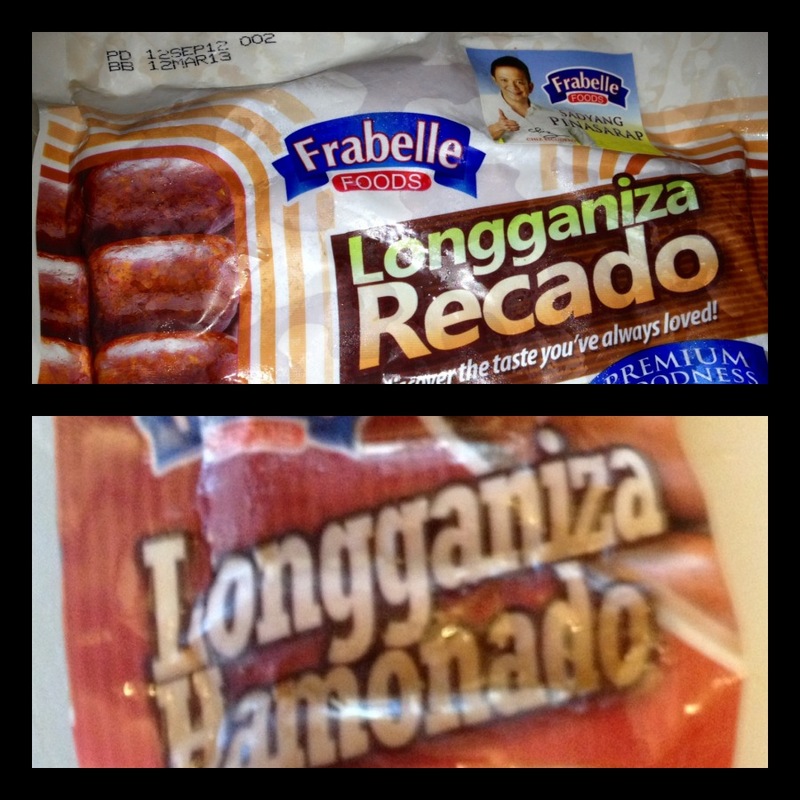 Frabelle's :Longganiza Hamonado was also delicious with that distinctive smokey flavor. The following day, my son was home early. 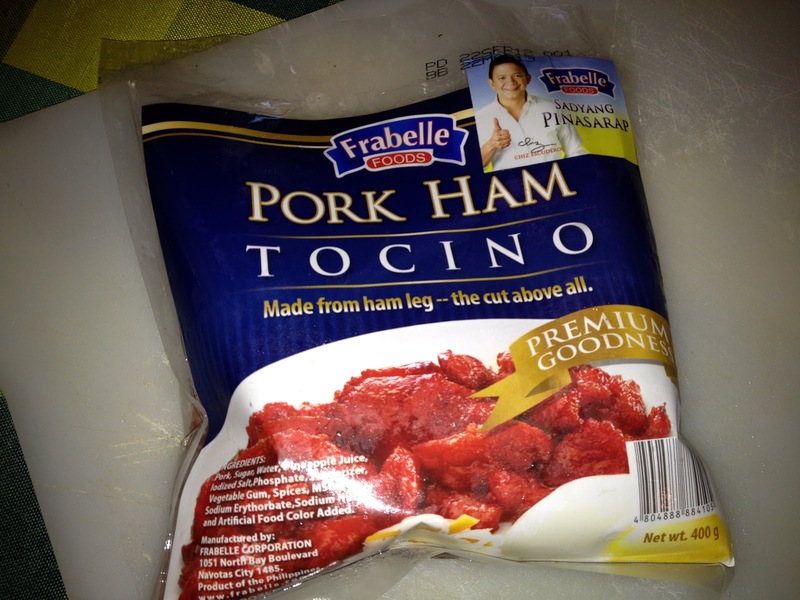 Since I did not prepare anything for lunch, I decided to cook Frabelle's Pork Ham Tocino. I decided to pair the Tocino with sunny side egg and garlic fried rice. This is the first time that I opened up a pack of Tocino sans the fat! The Tocino was all meat, tender tasty and perfect to the bite. The following Saturday, I decided to cook carbonara for dinner. I decided to use Frabelle's Hickory Smoked Bacon. I sliced the bacon, fried them to a crisp then added the fettucini and carbonara sauce. After arranging the pasta in the serving dish I added parmesan and grated cheddar on the pasta. Was it good? Well, I guess it was as there was nothing left of the pasta. D3 said, the bacon bits was interesting as it added a smokey hickory flavor on the pasta dish. 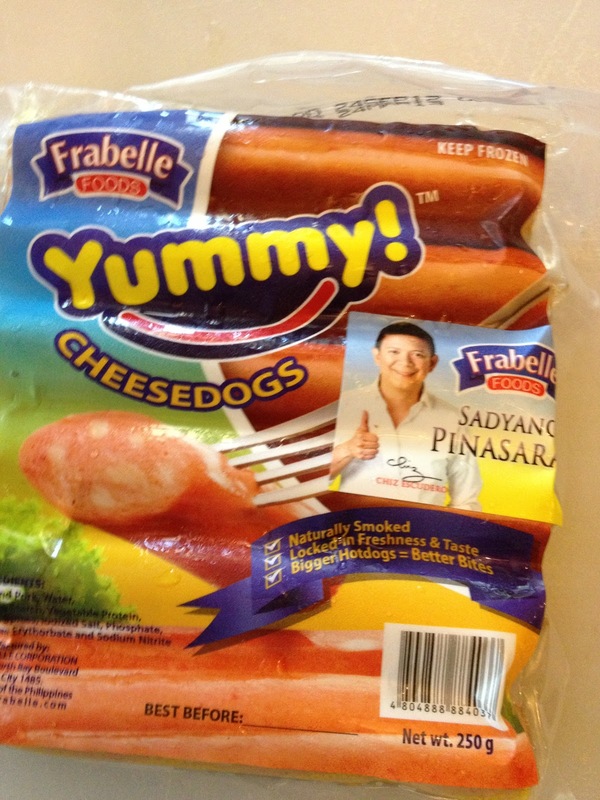 The following day, I decided to cook some Frabelle Yummy Hotdog and Cheesedog for snacks. The kids were all home, so was Ethan. My grandson is what I'd call a hotdog connoisseur. He will not eat any hotdog that does not meet his standards and believe me when I say that. D2 and Ethan are such picky eaters that it irritates me to a point. The two won't eat any hotdog except for the leading brand. If these two will eat Frabelle's Yummy hotdog and Cheesedog, that would be an exceptional event. Let's see. I panfried the hotdog and cheesedog in a Teflon pan. I toasted some wheat bread to go with the hotdogs. I called D2 and Ethan to eat the hotdogs without telling them that it's a different brand. Oh well, there was no need to tell them that it wasn't their favorite brand as they were able to tell right off the bat! Of course they refused to eat the hotdogs! I asked them ever so kindly to "please just taste the hotdog and cheesedog". D2 and Ethan grudgingly agreed. I had to cross my fingers for the tensed moment before and after the first bite. 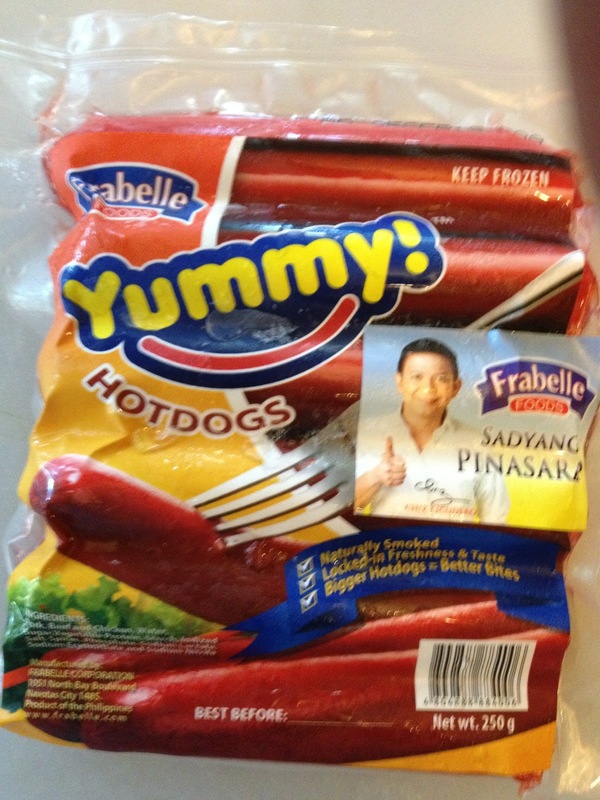 I was so relief when the two picky eaters actually loved Frabelle hotdog and cheesedog. D2 said the hotdog was meaty and has none of that funny consistency that other hotdogs have. She said it's not salty and has a slight smokey taste that she likes. Ethan said "It's delicious mom! I love it!" Ever notice how hotdogs generally get wrinkled when exposed to air, well not Frabelle's hotdogs. All of Frabelle's processed meat products are made from quality meat cuts, blended with just the right amount of spices, and cured and smoked with imported woodchips. All products are blast-frozen to keep the them fresh and preserve the taste. At a price several notches below its competitors, Frabelle processed food products are a bargain. Need I say more?